‘The Avengers’ came on strong this weekend, overtaking ‘Harry Potter and the Deathly Hallows: Part 2’ as the champion of opening weekends (in North America, at least). ‘The Avengers’ raked in about $200.3 million on its US/Canadian opening weekend. That compares with $169 million that ‘Deathly Hallows: Part 2’ brought in on its opening weekend. ‘Avengers’ also trumped ‘The Hunger Games,’ which had been number 1 for this year with US/Canada box office receipts of $152.5 million on it’s opening weekend. 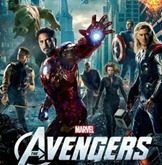 We told you on Friday that ‘The Avengers’ might just beat out ‘Deathly Hallows: Part 2.’ We based that on how extremely well “The Avengers” was doing with its overseas launch, which occurred a week before it premiered in North America. The film earned well over $281 million before it even got here. We also told you that the critics at RottenTomatoes had rated the film 92%, and over 185 thousand movie goers had given it a 95% ‘like’ rating. Guess what? Now that even more people have gotten to see ‘The Avengers,’ the numbers have gone up. The critic rating is now 93%, and with more than 225 thousand movie goers, it has a 96% ‘like’ rating. Some analysts are now predicting that the movie will bust through the $1 billion mark globally. It won’t be the first film to do that, there are 11 others that have surpassed a billion (even more, when inflation is factored in), but its still a powerful statement for a film to make.